As with most beer breads, this one was very easy to pull together except that, since the recipe came from a European website, it took quite a bit of conversion and Google searching for me to translate it into “American”. For example, I had to confirm that “bread soda” was the same thing as “baking soda” and that molasses would be a suitable substitute for “black treacle”. I have a kitchen scale and measuring cups with metric markers so following all the grams and milliliters wasn’t a problem (it actually made things easy), but I went ahead and converted it all to cups for my American friends who don’t own a scale. Lastly, the oven temperature…170°C doesn’t translate neatly to a standard Fahrenheit temperature (it’s between 325°F and 350°F) so I erred on the side of the lower one, and extended the baking time. Like I said, the recipe makes a huge loaf. It didn’t say which size loaf pan to use — I’m definitely glad I went with the larger 9″ x 5″ (vs 8″ x 4″) because the batter filled the pan and it domed up substantially during baking. Do yourself a big favor and be sure to do the toothpick check to be sure it’s completely done inside before taking it out of the oven! You’re in luck — I’ve done all the translations for you in the recipe below. In addition, Guinness has a quick video for this recipe, which I found helpful (I never would have known to mix the butter and dry ingredients with my fingers, like a pie crust). Enjoy this amazing bread! 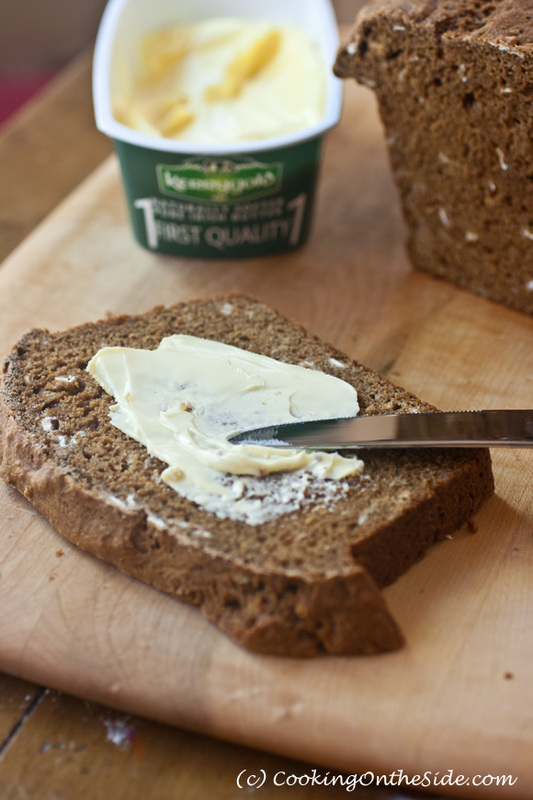 Adapted from the Guinness Bread recipe on the Guinness website. Heat the oven to 325°F. 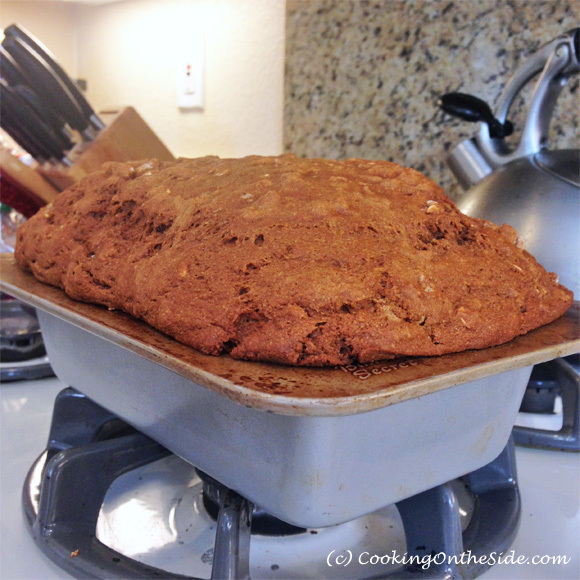 Grease a 9″ x 5″ loaf pan. In a large bowl, use your fingers to mix the butter with all the dry ingredients until the dough develops the consistency of breadcrumbs. Add the milk, molasses and beer and mix, either with your fingers or a wooden spoon, until you have a wet dough. Pour the dough into the greased loaf pan. Bake for 45-50 minutes, or until a toothpick inserted in the center comes out clean. I found this recipe thanks to Aimee at Simple Bites. I’m big fan of baking with beer (love the extra flavour boost) so will be sure to give this a try. I just want to sink my teeth into that loaf! That looks amazing! Previous post: Spam Musubi …and Aloha from Hawaii!